These are a common fish in many lakes and is noted for its excellent table fare. 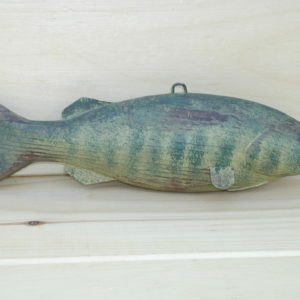 Our Crappie measures apprx. 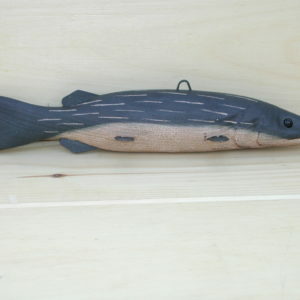 7″ long x 3 1/2″ high x 3″ wide (with fins). Other features include black glass eyes, carved gills, and inletted metal fins. 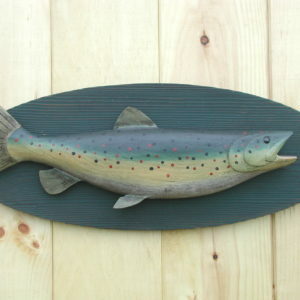 ~ Ice fishing decoys were used for centuries to lure fish through a hole in the ice to within spear range. This is still a popular sport in the Great Lake areas. 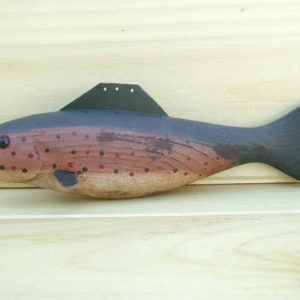 Hollywood portrayed this style of fishing in the Grumpy Old Men movies. 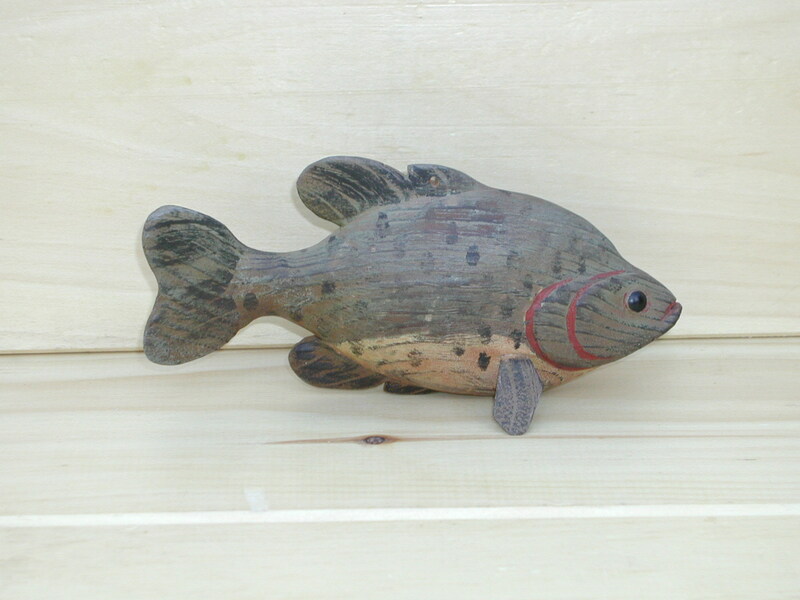 Our Crappie would be a great addition to any fish decoy collection.